It’s still Chinese New Year, which means we are still eating to positively influence our destinies. Mandarin oranges symbolize the sun and their vibrant color is associated with wealth and prosperity. 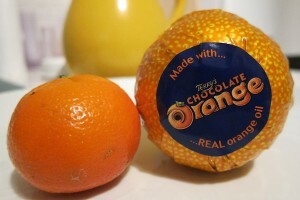 Personally, I prefer Terry’s Chocolate oranges, because they are delicious. What, you don’t know what a Terry’s chocolate orange is? You haven’t had the chocolate and orange oil melt in your mouth? You don’t understand what I’m talking about? Let us closely examine the differences, because I’m not sure you’re getting it. The mandarin orange is wrapped in a hard, shiny orange skin. The Terry’s orange is wrapped in a shiny, orange wrapper. It is made with “REAL orange oil.” The mandarin orange is made of REAL oranges. When unwrapped, the real orange is soft, pliable, easily bruised and slightly damp. 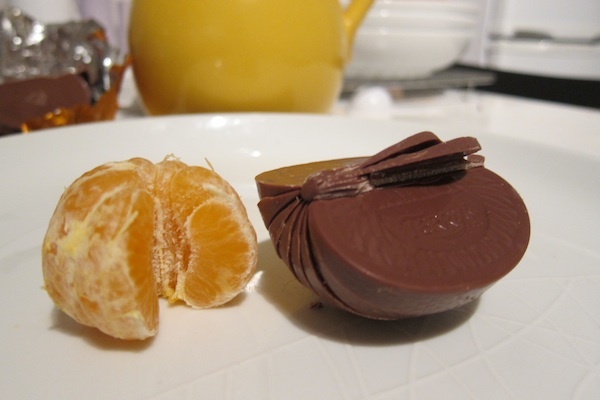 The Terry’s chocolate orange is hard, brittle and easily flakes off. It is also made of chocolate. The mandarin orange pulls apart easily with just a small tug of the fingers. It tastes like oranges. 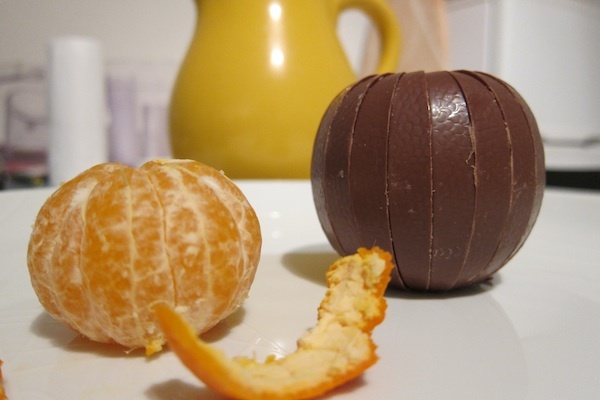 The chocolate Terry’s orange must be whacked hard on a solid surface, resulting in shattering the segments apart (better to do this with the wrapper on to avoid lost chocolate). It tastes like silky chocolate with a hint of orange flavoring. Lesson over. Let us eat both of these delicious oranges and prosper in the new year.